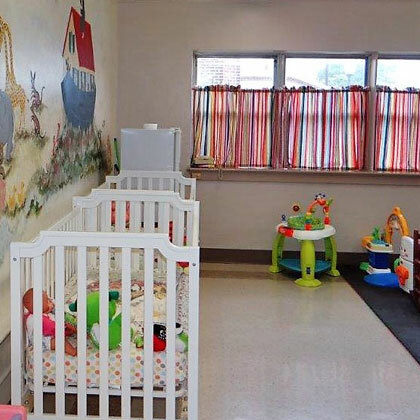 The nursery provides an environment of safety, love, and respect where a child learns about the love of God and the importance of Scripture; the parent(s) feel respected, loved, and know that their child is loved and well cared for; and the volunteers and staff feel valued and supported as a part of a ministry team that is serving our young families. 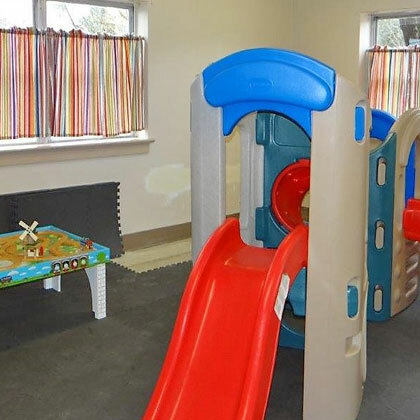 A toddler room for walkers to four years old. The nursery is always open for weekly worship services and other events at the church. Nursery Policies and Procedures for Staff and Volunteers are posted in both nurseries. Note: All adults who work in our nursery have been Safe Sanctuary trained.